"​There’s no one in the DMV that I would want working with my players hitting in the offseason more than Coach Hanafin." I’ve coached the game of fastpitch softball 50 years now, and I have been fortunate to work with some great players through the years. Briana Hanafin is just that – one of the all-time greats to ever wear the Shamrocks uniform. Bree’s passion to play and love of the game are beyond compare, as exemplified by her desire to continue in the sport through working with today’s youth – both as a coach and hitting instructor. She is, and always has been, a student of the game. It gives me great pride now knowing that she is sharing that knowledge and, in her own way, giving back to the game. There’s no one in the DMV that I would want working with my players hitting in the offseason more than Coach Hanafin. She knows the game and does an excellent job teaching it. When any of my players ask about a hitting coach, the name that comes to my mind first is always Briana Hanafin. She knows what I teach, and I have to believe that she is continuing my teachings with an emphasis on the fundamentals and technique in hitting, laying the foundation for an outstanding future for her pupils in the sport of fastpitch softball. "AGSA recommends 'Arlington Softball+' without reservation to any youth softball group seeking to improve their training regimen and their program." I have known Bree since she first started playing softball some 16 years ago when I was a Commissioner in the Arlington Girls Softball Association (AGSA). What stood out then was her remarkable talent and athleticism. What surfaced later and separated Bree from the crowd was a rare display of work ethic, competitiveness, confidence and intelligence that drove her to be the best and attain whatever far-reaching goal she set for herself. The other quality that became apparent was her willingness to give back to the game. All through her High School and College career she made a point to come out and work with our young softball players as both an Instructor and perhaps more importantly as a role model. 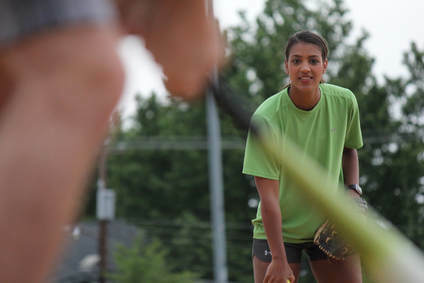 Completing her college degree and softball career at the University of Maryland in 2012, Bree soon sought other challenges in both the workplace and with the game she loved. After several years of working with local high school softball programs, travel teams, training facilities and offering private and group lessons, Bree decided to form her own business, “Arlington Softball+”. 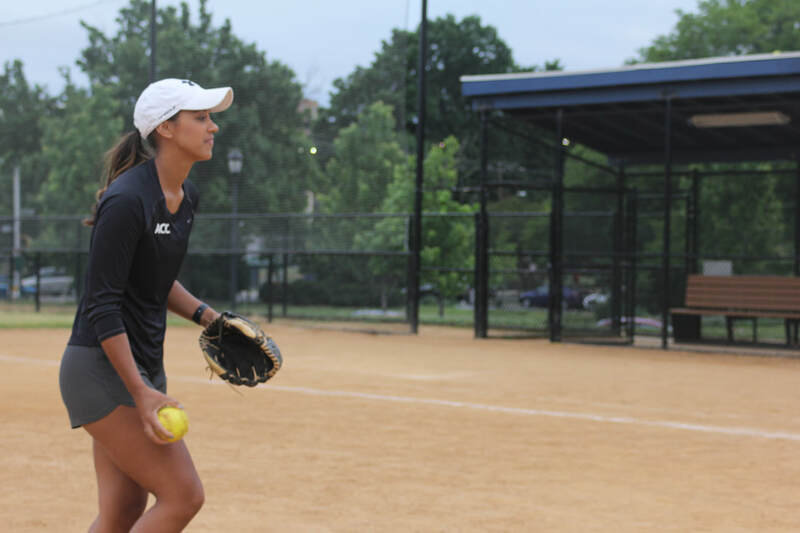 In the past, AGSA has used numerous outside sources to conduct the various softball clinics and training sessions held over the course of the year, with mixed results. Bree forming her new company provided a perfect solution for AGSA. Now we could enlist Bree to organize our clinics and draw upon her considerable network of former players to staff those events. AGSA is now in its 2nd full year working with Bree and her staff and it could not have worked out better. Bree and her Instructor staff have made a difference being able to engage even our youngest players while continually challenging our older players. In addition to the talented Instructors that now work with AGSA on a regular basis, Bree brings the same dedication, reliability and competitive edge to her business that made her such a great athlete. 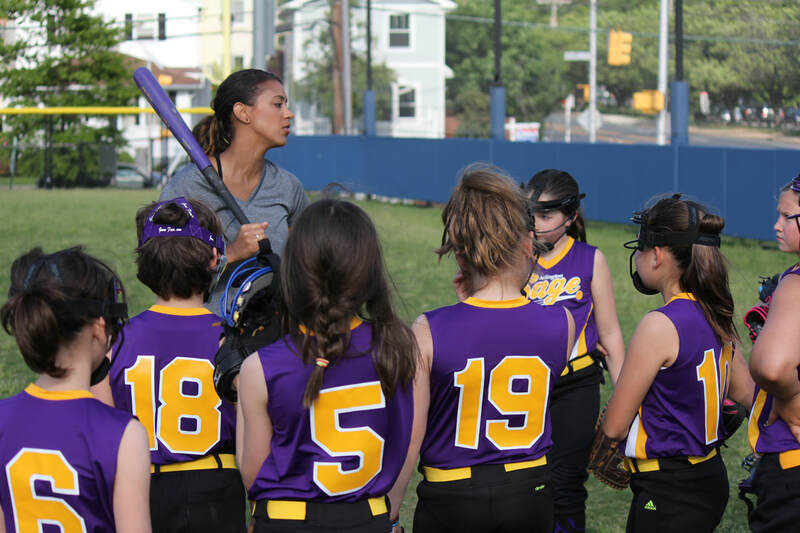 AGSA recommends “Arlington Softball+” without reservation to any youth softball group seeking to improve their training regimen and their program. "​Bree has a lot to offer young softball players who are not only looking to build their athletic game, but their mental game as well." I had the pleasure of playing with Bree at the University of Maryland. She was the type of teammate you wanted to have on your side – which is why she will also be a bridesmaid in my wedding. She was always so passionate, competitive, and I could ALWAYS count on her to have my back. She was the teammate you wanted up to bat with the winning run on base or the one you wanted to make the last out on defense because you were always confident she would make the play and end the game. She had drive and was an all-around leader who everyone looked up too. Bree had an extremely confident, calm, and intimidating demeanor when she was on the field; an overall athlete. 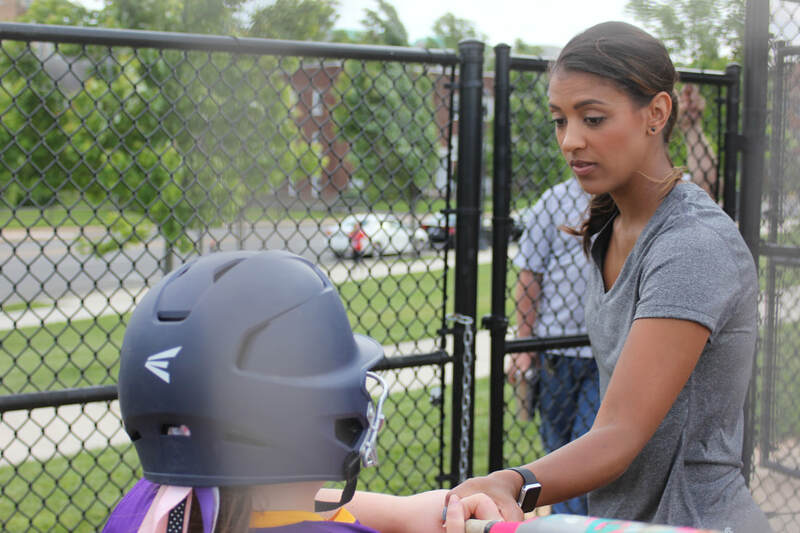 Her athletic ability, passion, and knowledge for the game has allowed her to really evolve into a knowledgeable mentor and instructor in the world of softball. Bree has a lot to offer young softball players who are not only looking to build their athletic game, but their mental game as well. Bree's knowledge for the game and her successful career at the plate and on the field has opened her to bring so much into the softball community. Being a Division 1 softball coach myself has allowed me to watch Bree on a level with her students that I can personally say is preparing them for the next level. I am confident in her abilities as a former teammate and as one of my best friends. She is an amazing athlete and over all awesome human being! "My players love Coach Kristi, and so do I!" "Is Coach Kristi coming today?" My 10U players ask this at every practice! My players love Coach Kristi, and so do I — because my girls are walking into the batter's box with confidence and hitting with power. Kristi has diagnosed their individual issues—whether it's feet or shoulders or something else — and communicated the fixes. Every kid in my lineup hit at our last tournament!" "​Coach Bree will now be a normal routine for my team because she is a HUGE asset!" I have been coaching for 8 years and I thought I had it all figured out. I called Coach Bree to come to a practice so she can give my players another voice to listen to in regards to hitting. Well I got WAY more than that. Coach Bree made herself familiar with the players and developed a relationship quickly (that's the hardest part), she then took the took to the outfield with their bats and worked on meditation. Coach Bree helped my players with at bat routines and plans, made the players recognize the importance of paying attention to their teammates routines and even memorizing them… My team played in a tournament the following week and used Coach Bree's meditation technique, they also were able to recognize each other’s batting routine and slow each other down to focus on their plan. We hit like trucks that weekend! Coach Bree will now be a normal routine for my team because she is a HUGE asset!! Thank you Coach for helping me get better as a coach and my players get better overall!